No action is to be taken by police against an abbot at one of England's top Roman Catholic public schools after an allegation of historical abuse. 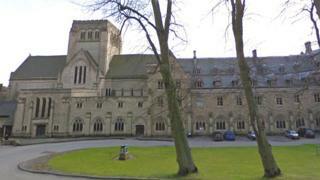 Ampleforth Abbey, in North Yorkshire, said Abbot Cuthbert Madden had always denied any wrongdoing and cooperated with the investigation. Police investigated an alleged indecent assault at the college in the 1990s. Based on the evidence available no further action is to be taken, said North Yorkshire Police. A letter from the college said the decision was "good news". "We hope that Abbot Cuthbert will be back with us soon to resume his duties," it added. The abbot had "stepped aside" in September as police investigated the claims.